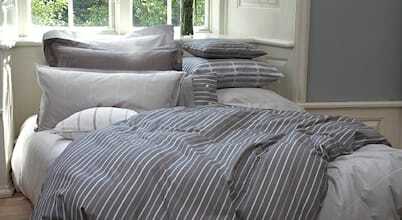 TrueStuff provides a fresh Nordic look and feeling for your home and bedroom. We base our work on the simplicity in the Scandinavian design tradition, inspired by the coast, the dunes and blue ocean surrounding Denmark, we create classic and long lasting style. Our collection is based on fabrics exclusively woven for TrueStuff. Each design and fabric is developed and designed by Hanne Kjeldsen Sall, experienced textile designer and founder of the company.TrueStuff manufacture in close cooperation with our selected European partners. Only the best spinners, weavers and sewing factories manufacture our products, to secure that only the best finish and quality is delivered to our customers.